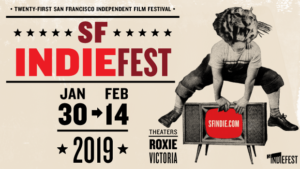 Ant!pode would like to announce screenings of the films “My Friend the Polish Girl” by Ewa Banaszkiewicz/Mateusz Dymek at San Francisco Independent FF (31 January – 14 February). “My Friend the Polish Girl” borrows from cinema verite and video bloggers to create a rare naturalism in style and performance. The fiction film watches as an experimental documentary told through the eyes (and lens) of amateur filmmaker Katie, an American rich kid following Alicja, an erratic unemployed Polish actress. Set in a post-Brexit-vote London, Katie’s colonising, disruptive presence in Alicja’s life mirrors the treatment of migrants in the UK: Welcomed, used, then discarded. A raw, sexual, and visually brash film exploring the abusive power and control over someone’s intimacy.